Shocking, I know! 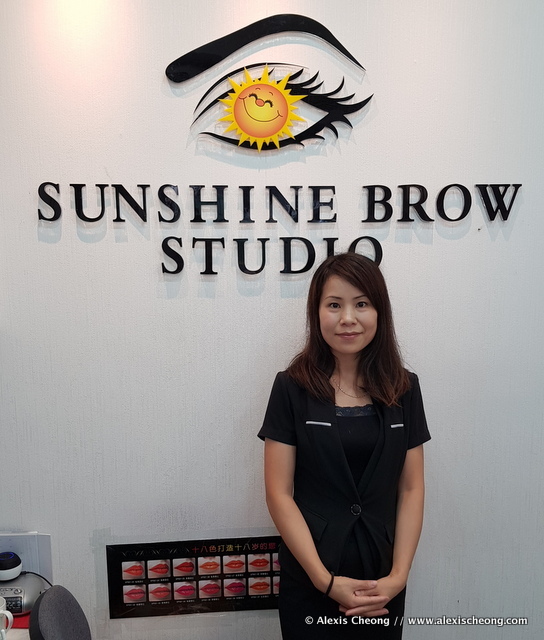 So off I went to Sunshine Brow Studio / Beauty Recipe to touch it up with Lisa, my trusty brow artist. She still looked as good as ever! 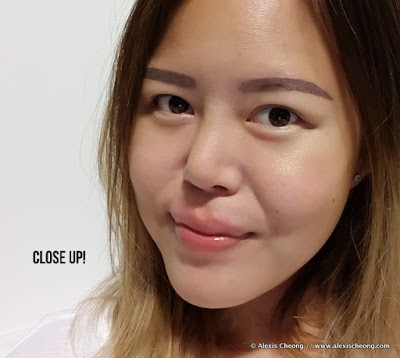 It was back to the same routine of shaping the brows meticulously (much easier this time!) before numbing cream was applied. 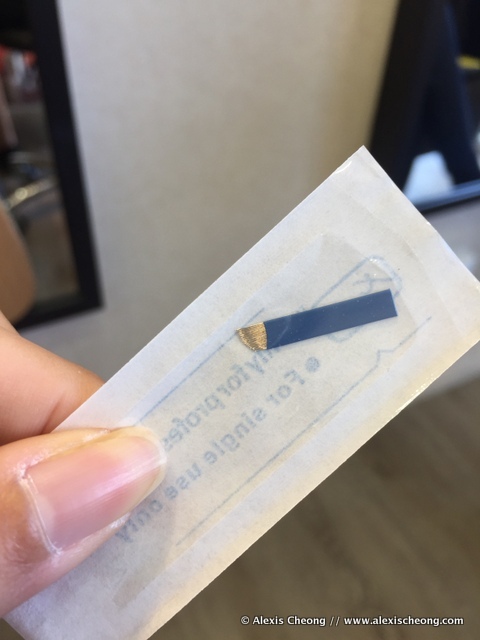 As usual, Lisa showed me the fresh blade she will be using on my brows to scrape the epidermis with some semi-permanent ink. 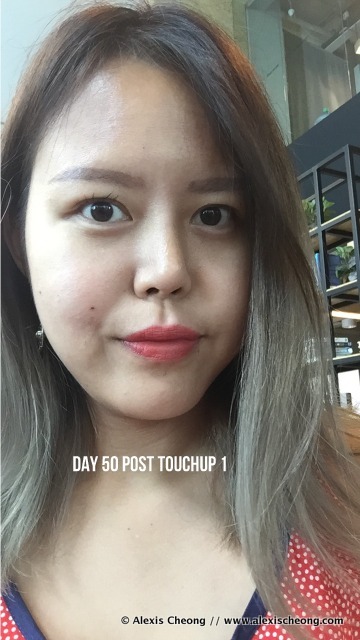 Result post my touch up on 4th of June! Much better isn't it! 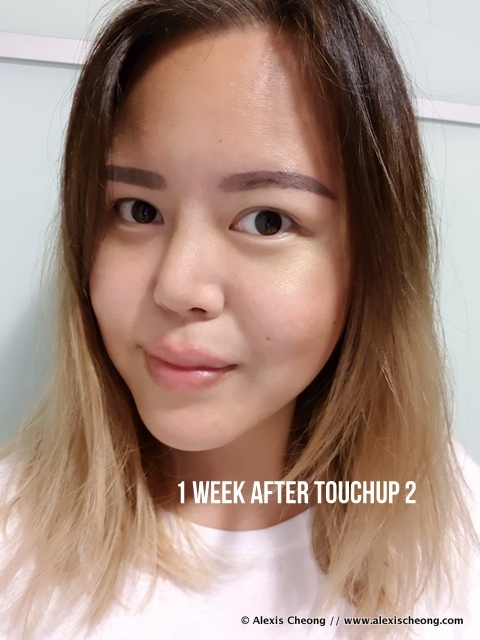 But if you could tell, it is actually somewhat light compared to the first round because I was a bit of a wuss and told her I'm fine with less scraping cos it was painful! 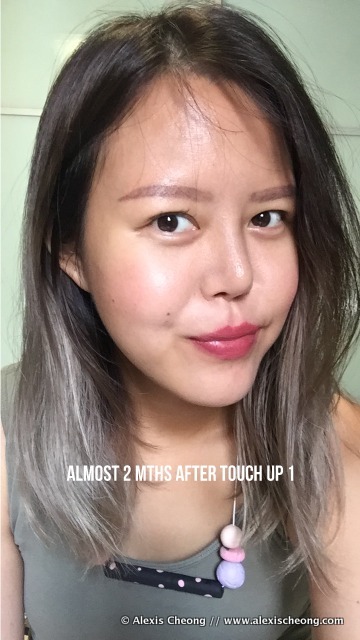 Here I am, looking all fresh faced and pleased with my less shiny and dark brows after 7 days of applying the protective clear gel. I had to do something about that hair though (which I did). 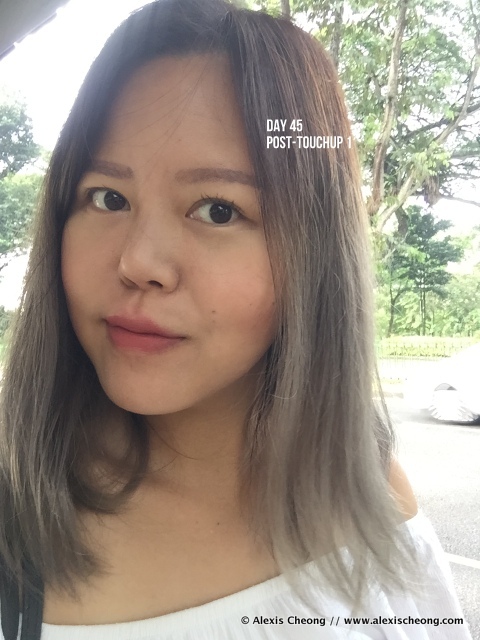 And here again after a month and half in July sporting my favourite hair colour of all time - grey. 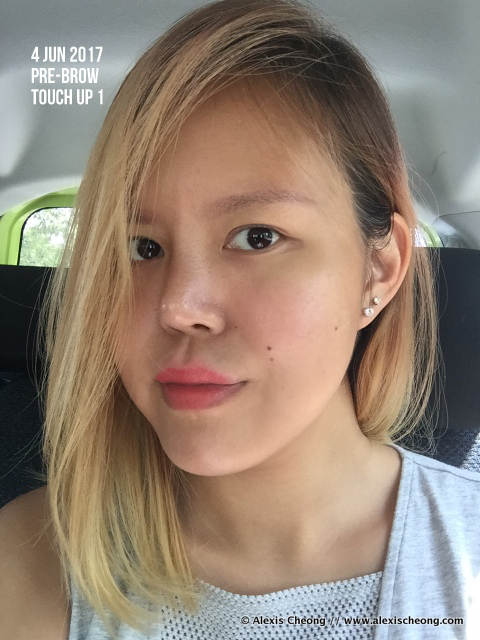 Brows had fade very nicely to match my hair colour. I do love my hair colour and the top brown ombre part matches my brows then! I was also sporting the keratin lash lift eyelashes by Beauty Recipe (from their Somerset branch). Sadly as my hair colour faded, so did my brows... Here it is almost 2 months later. 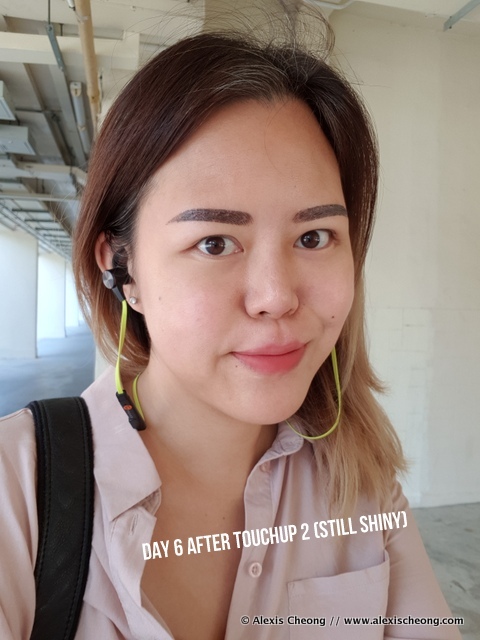 By the time I reached the end of 3 months, they have become quite light, as you can see as I went back for my mandatory touch up of my 2-year touch up. I was supposed to go back after 1 or 2 months but it took me 3 months! Here's Lisa! Definitely book your appointment with her if you want to do your brows because she is the most meticulous perfectionist I know. Note that the studio has shifted a few doors down to 87 Marine Parade Central #01-503B (+65 86064332). After 2 hours of "ouch a bit pain" + numbing cream + scraping x 2 or 3 times because I suspect my brow area might have become more sensitive (honestly didn't recall it being as painful the first time around), the job was done. Lisa had to make it extra dark so I don't fade them out as quickly, since this is supposed to last around 1.5-2 years! Here it is one week after - you can see some slightly darker streaks inside, which were gone the next day. As you can tell, the 6D Nano style meant you could see every brush stroke. These photos were taken with my new Samsung Note8 by the way! So there you go! 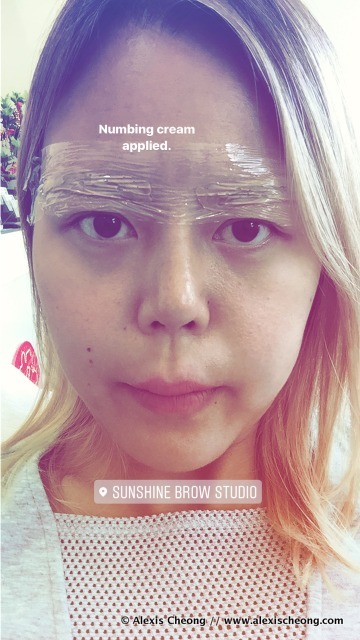 Hope this is informative for you if you are considering eyebrow embroidery too. 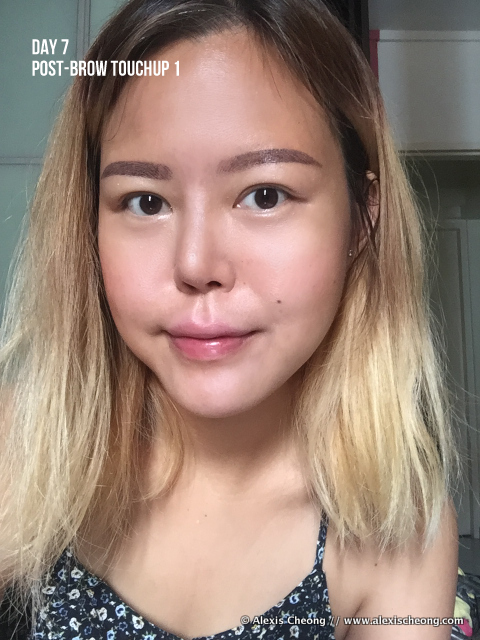 I honestly think it is one of the best investments you can make on your face because there's no need to buy eyebrow pencils or spend time drawing them anymore! 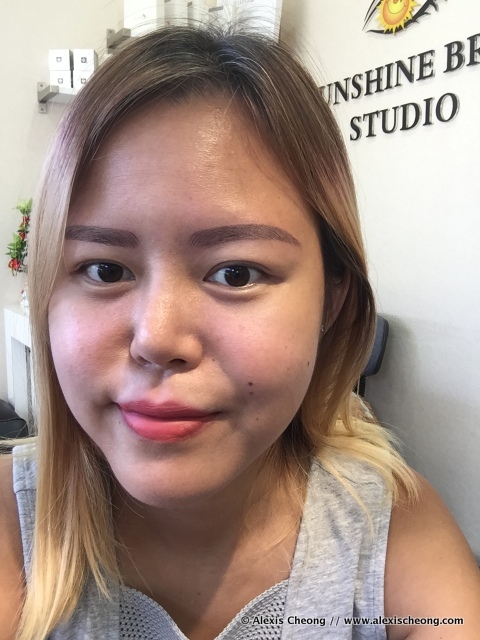 There's a current promo of $488 nett for the 6D Nano Eyebrow Embroidery which is what I have on. 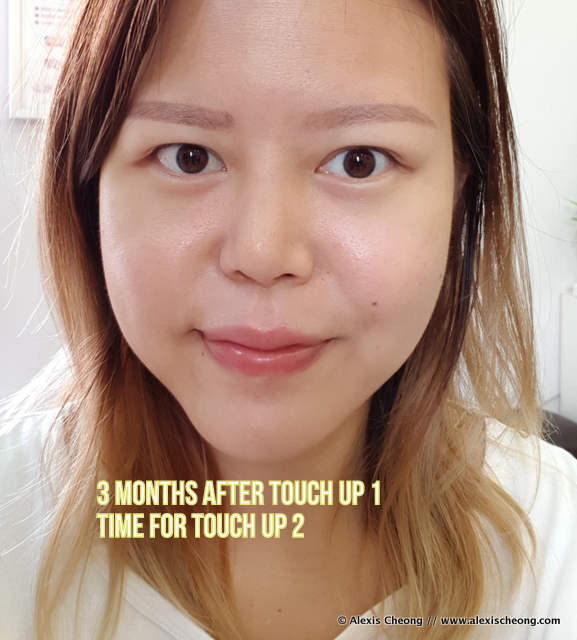 Do call the shop at +65 64405288 or text or call Lisa (in Mandarin, preferred) on her mobile at 82648849 to make an appointment for their branch at 87 Marine Parade Central #01-503A, Singapore 440087. Thanks Sunshine Brow Studio and Lisa for the touch ups!